I brought my daughter, Alexa to see Fiddler on the Roof at Sheas. We love going to the beautiful theater to see musicals – it’s our thing. Alexa is 23 and we have basically the same tastes when it comes to the theater. So, we headed to Shea’s Performing Arts Center on a rainy Tuesday evening. If you’re not sure what Fiddler on the Roof is about – and I really wasn’t – it’s about family. Tevye, a poor Jewish milkman with five daughters, works to explain the customs of Jews in his village in Imperial Russia in the early 1900s. He tells us how their lives are basically as precarious as the perch of a fiddler on a roof. It is a heartwarming story of fathers and daughters and husbands and wives where traditions can often help to define what family and faith are all about. It shows that sometimes traditions can change. 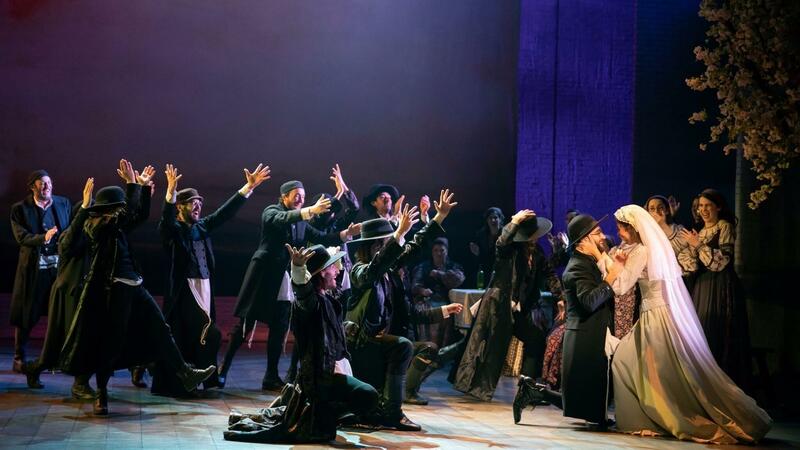 The story follows Tevye, his wife and their daughters as they navigate love and life – as they try to do the right thing for their family. 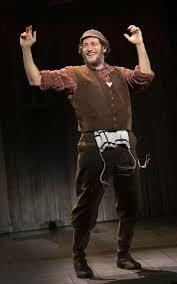 Despite political unrest and anti-Semitism, Tevye maintains his religious traditions and his devotion to God. Yehezkel Lazarov plays Tevye brilliantly as he helps us to understand what his family is going through; how difficult it must be. He’s also quite funny in his conversations with God and his family. The music, including “If I Were A Rich Man” is catchy, thought-provoking and interesting. The cast is incredibly talented and I enjoyed each song – but – it was the dancing that blew me away! The dancing is simply extraordinary, starting with the entry of the four principal groups — the papas, mamas, sons and daughters — each with its own style. In the opening number, “Tradition” the four groups fused their dancing together in what was pure joy. It looked like they were having great fun dancing and that really was the case for all of the choreography. Somehow the dancing was both individual and collective at the same time. The famous “Bottle Dance” is not a traditional Jewish folk dance but the amazing creation of director-choreographer Jerome Robbins and it is simply mind blowing. The play is filled with emotion as we feel their joy and their pain. We watch as they celebrate and suffer. The entire time – we root for this family and the villagers. It’s a story of devotion to family and to God. It isn’t a feel-good show – but it is beautiful. The show is playing through November 4th. Tickets are $62 and up. For more information or to buy tickets go to sheas.org.